Going to Britmums Live in June was a great experience. In the main hall whilst hearing the speakers we were all given a fab notebook from Personal Planner. Each notebook included a lovely little card inside to make our very own personal planner! When I got home I decided to make my own Personal Planner. I thought by getting one it would help me organise my blog as well as keeping up with important dates in my life. The ordering process was easy, you are able to choose colours, what size you want your notebook and even say what paper you would like! It took me around 20 mins in total to order and I was happy with what I was sent. My Personal Planner has been a great help in my life and I would be lost without it now. Personal Planner are giving me the chance to run a giveaway so that one of my readers can win their very own personal planner! The winner will receive a digital gift voucher for any size planner/notebook. All you have to do is fill in the rafflecopter below. For reminding me about family stuff like kids parties, school events, clubs, etc! They say, each time you give birth, some of our brain cells die - well I have given birth 4 times and I know I am a lot more forgetful now than I was pre-motherhood! So a personal planner would be invaluable to me! 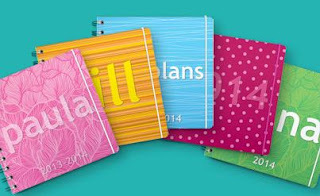 I would love to have a personal planner so I can help my memory in general. I have a tough time remembering a lot of things and have to write everything down, notebooks, slips of paper, cards and any blank surface available. It would be fantastic to put everything into one place! for my son, his social life is busier than anyone! Keeping organised with 2 kids! Everything. I am woefully disorganized. Without a diary / planner I would be lost and so would my family! My world evolves around my daily planner as I use it to see who should be where and when and with whom. Reminding me of work rotas and bills. Juggling! 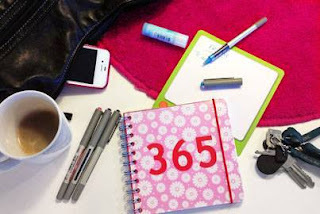 I have a home diary, a work diary and I need somewhere that can be my everyday diary which pulls everything together from meetings and work to do to childcare dates and when we need to take the library books back! To help organize our family,I never remember dates and times. Keeping track of all the hundreds of things that go on at my sons school! Organising :- commitments, appointments, etc. There are times when I find there are a list of things to do, places to go etc. Documenting this information in the planner would be of assistance in organising. Helping to organise my private life and my new business life too! Keeping track of the childrens activities! To keep track of all the parties, after school clubs and sleepovers that I take my kids to. Planning everyones events, classes and appointments! I used to be quite organised, I'm hoping that this would help me rediscover my organisational skills! My daughter has to attend a lot of hospital appointments and it is so hard to keep track of them just with bits of paper something like this can help our lives be organised. I love these, the little sweet boxes at Britmums were lovely! Organising my life which I seem to have lost the ability to do! To sort my life out .. too much going on and not enough time! to give my life some balance ! I'd give it to my mum - she's much more paper bound than I am! I need to remember everything, I am getting so forgetful ! I would use it to keep track of where I'm meant to be everyday so I dont forget! i'd use it to keep track of appointments etc for all the family. Keeping me reminded about what I've got to do and when. Supporting my deteriorating baby brain! So much to think about and get done - I'll never remeber! I would use mine to keep track of all the family activities each and every day! I can never remember who is supposed to be where and when! organising my work and my family life so they work well together. For my contacts, appointments, reminders to help me keep on top of day to day life. My childrens activities and parties, they have a much better social life tan me. to help with my juggling routine, also known as managing two kids, a full time job and a saturday job, a husband, a house, bascially life! I have the worst memory, I have to write everything down. I would use it for everything. Appointments, birthdays, as a study calendar, to write lists. I list everything! Part time work and nearly full time child care for our Granddaughter as her mum now starting year 3 of nurse training. So need to get all the times and dates on a piece of paper. 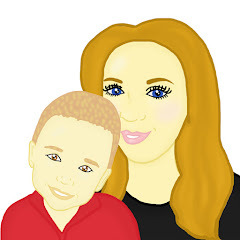 Keeping track of life, work, Rainbow, blogging and the family! to keep my life in order and stop double booking myself! I'd use one for keeping track of all my little girl's appointments - we have so many I have to be organised! to keep track of everything. For remembering what I'm supposed to be doing - I forget everything usually, so this would be awesome! I have 3 children who have better social lives than me, so this planner would be invaluable, as I can never remember who needs to be where and when! To keep track of where and when we all are! For keeping track with everything! Certainly for keeping track of all the activities going on with members of my household, 2 Kids me and hubby its gets very busy sometimes! To sort my life out! I would plan my shopping and meals for the week.